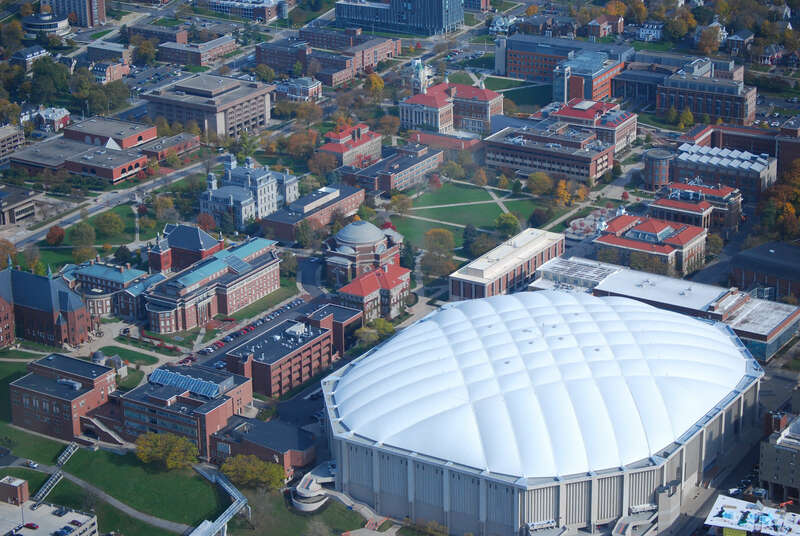 As one of the most populated metropolitan cities in New York, Syracuse is home to skyscrapers, well-known collegiate institutions and the Carrier Dome, where basketball teams go head to head. Material Handling Technologies has many facilities across the east coast that combine every step of the engineering process from fabrication all the way to project management. In fact, we’ve been headquartered in Syracuse since 1992. If your business is in the Syracuse, NY area and you’re looking to increase productivity with the help of integrated technologies like cranes, vertical lifts or automated conveyor systems, contact us today using the information provided below.